Resistant screw pegs ideal for awnings, enclosures and mats. 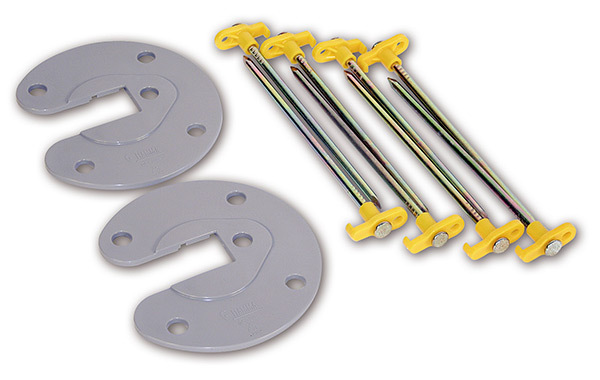 KIT AWNING PEGS System of highly resistant screw pegs ideal for awnings, enclosures and mats. 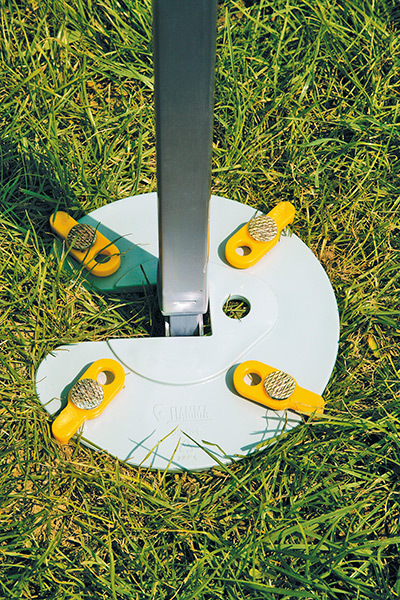 Sturdy and easy to use. Made of tough UV resistant plastic. 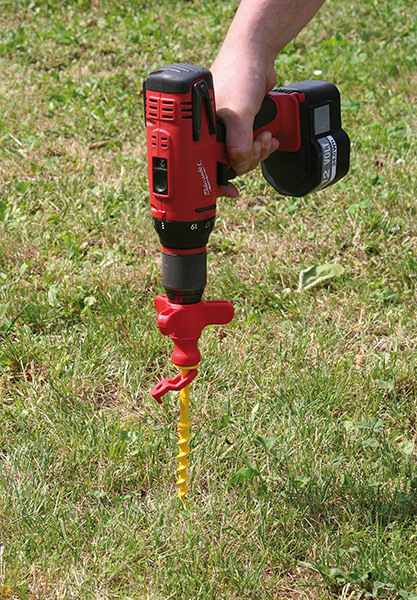 You can screw them in the ground manually by using the special key which is delivered as standard or by connecting them to an electrical screwdriver. They are lighter than the standard metal pegs and have a higher resistance thanks to the new spiral design. Ideal for soft and sandy grounds. Easier to extract by unscrewing them. 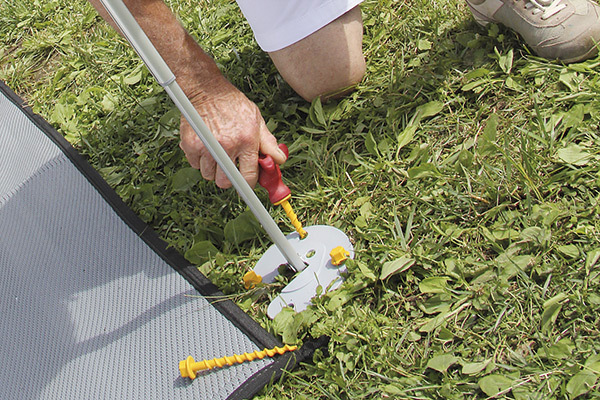 KIT AWNING PLATE Ideal for fixing front legs to the ground, in order to increase the resistance in case of strong wind. Made with extra strong plastic. 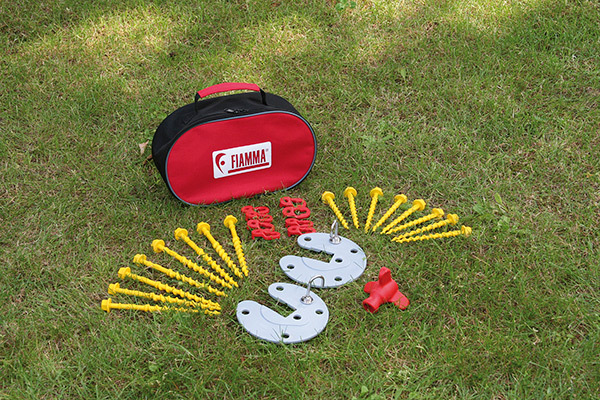 It is suitable for all types of Fiamma and Thule/Omnistor awning legs.